Are you sick of nail posts yet? I think this is the last of them for now... it's just that I was on a roll, so might as well go with it, right? I've had this system in my 'to blog' pile for a while, but every time I decided to give it a go, I'd break a nail. Not just a little break, but a full on snapped off, ugly looking incident. Since the Kiss Everlasting Gel Polish makes claims to last for two weeks, I thought it would be best to apply on my usual length. Last week I applied my first ever gel manicure and after a few ups and downs, am ready to report. Read on! I've only ever had my nails 'professionally' done a handful of times. Most times I left feeling very unfulfilled because the results were, well, kind of terrible compared to what I could do myself. For free. I've been tempted to get gels done, but never did, so I was really excited to be able to do it myself at home. 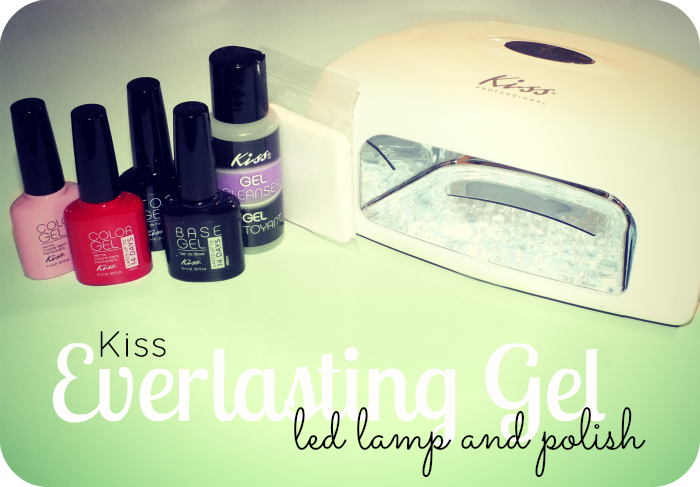 The Kiss Everlasting Gel Polish set up is really simple- base coat, colour, top coat, cleanse. The instructions were well written, but I initially, was a bit nervous about making a mess of it, so I also watched their instructional video. It made things easier than easy. Watching it gave me complete confidence, as it really is easy to do. I love that the lamp does all the work- it beeps at 30 seconds, the length the base and top coats need to cure, and turns off at 60 seconds, the length the colour requires. Super simple. It just has a basic on/off switch, so there's no fiddling to set it up. 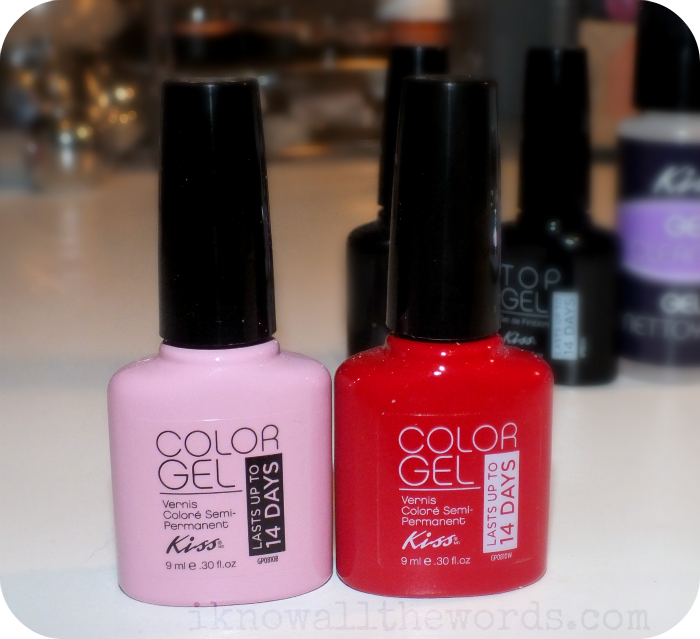 There are currently fifteen shades in the Kiss Everlasting Gel Polish lineup. I received Petal- a pale, baby pink and Really- a medium depth red. I decided to try Petal first. It's a bit hard to know what the colour will be based on the bottle alone since they're opaque, but Petal is a universally flattering pale pink. The first coat of Petal was quite thin. I don't know why, but I kind of expected to only need one coat... In the end, two was all it took for full opacity. After applying top coat, and cleansing the sticky layer off (Kiss sells 'Gel Cleanser' but it's just alcohol) and was pretty much amazed at the fact that these are completely dry. COMPLETELY! I love that. So, Kiss claims that these will last for up to two weeks... It was just 24 hours after I applied my gels that two peeled off. I followed their directions to the tee, I even gave my nails a bit of a buff to rough them up first (followed by an alcohol wipe down.) I found that when I followed the Kiss technique of wrapping the tips after applying product to the nail that it got too built up. All of the polish that I used to wrap my tips with peeled off a few hours after I did my nails. When I re-did the nails that peeled, I wrapped my tips before applying product to my nails and found I had better results. Overall, I like the system, even though I only got a week of wear and that was including a touch up. The fact that these are so easy to apply and are instantly dry is a major plus, and they do look pretty great on. I still have Really and a French Tips set to try, so we'll see if I get closer to the two week claims with those. 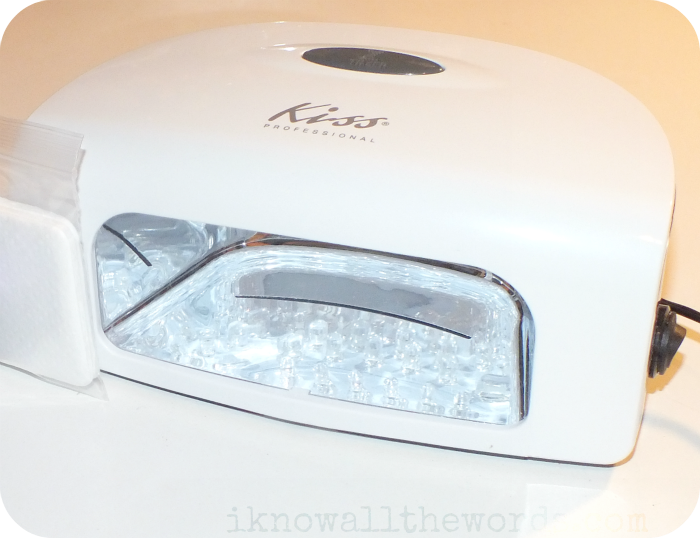 Have you tried at home gels? Thoughts?